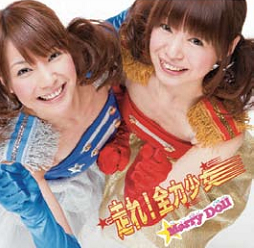 bunny☆kaisui's blog: MarryDoll new single "Hashire! 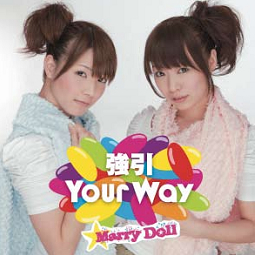 Zenryoku Shojo/Gouin YOUR WAY"
MarryDoll new single "Hashire! Zenryoku Shojo/Gouin YOUR WAY"
This past week they went to Tokyo and they did some lives to promote their new single. Also, they're doing several events at Tower Records for the next two months! Finally, both Misa & Ryoko opened Twitter accounts! I do like Hashire! Zenryoku Shojo a lot :D! Song it's cute & catchy~ I hope they do well with sales & they have a lot of fun in Tokyo! misahisa333 @ YouTube, MarryDoll Official Site, Ryoko Official Blog, Misa Official Blog.